Paul Turner was one of the founders of Edwinstowe Plumbing And Gas Limited which was established in 2002 having had over 35 years working experience in all aspects of plumbing , heating and gas work. The company has been building a rapor with it’s clients and has developed a reputation for providing first clas workmanship and for delivering an excellent, reliable service with over 95% of it’s work coming from past customer recommendations. Edwinstowe Plumbing And Gas was originally based in Edwinstowe but now services Edwinstowe all surrounding areas such as Mansfield and Sutton In Ashfield. We specialise in plumbing, heating and gas work. 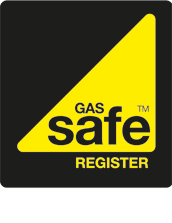 Edwinstowe Plumbing And Gas Limited are on the Gas Safe register. This means we are qualified to work legally on gas appliances.